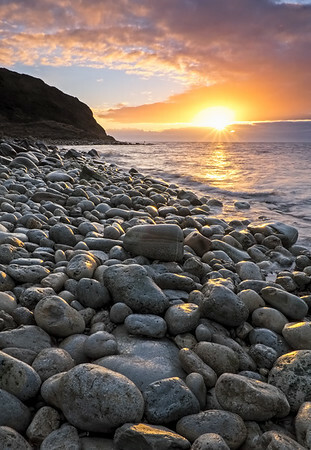 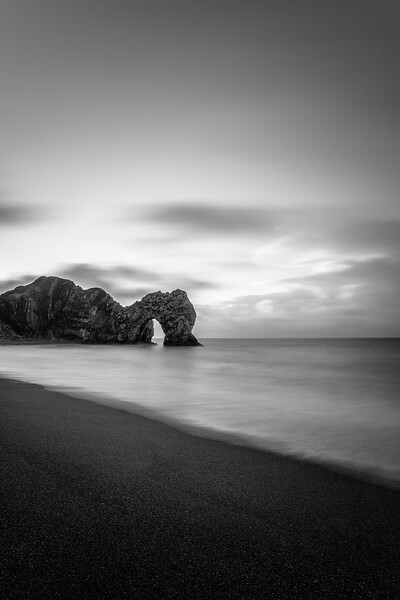 Photographic images of the Dorset coast and countryside. 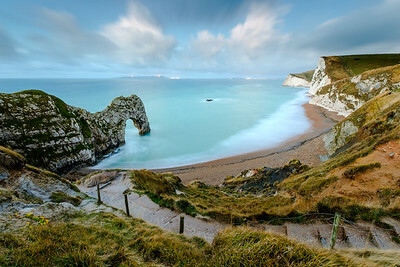 Steps leading down to the rock arch of Durdle Door. 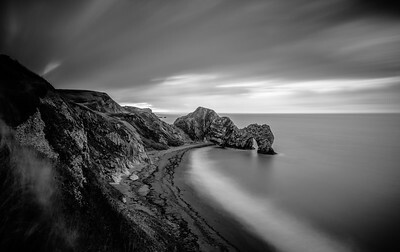 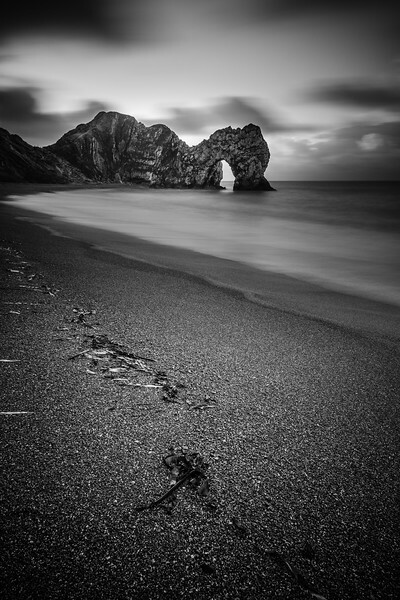 Long exposure black and white image of Durdle Door. 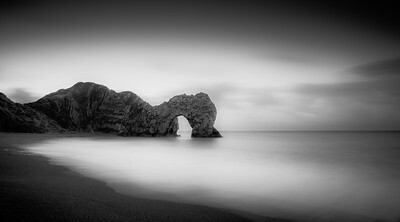 Long exposure image of Durdle Door rock arch seen from the cliff top.